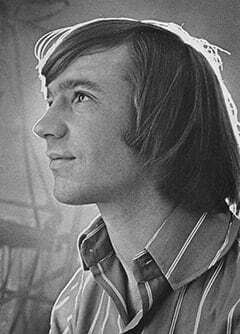 Welcome to Sunshine Factory, a fan site for The Monkees: Mike Nesmith, Micky Dolenz, Davy Jones, and Peter Tork. Added Monkee Spectacular #7 (November 1967) Pictures. Added articles: 75 Facts About The Monkees, A Weekend with John & Cynthia Lennon, All About Davy According to Astrology, Backstage with The Monkees, Camera Bugs Unite, Coco Clues Us in on Micky, Days I’ll Always Remember, Foto Fun, How Would You Like to Interview The Monkees?, Introduction, Monkee Letters, Monkee Recipes, Monkee Rumors, My Four Days with The Monkees, My Friend Mike, Peter in Europe, Phone Call from Davy, The Monkees’ Faces Tell on Them. Added “Christmas Medley ‘86” Lyrics. Added The Monkees Tale (1989) Pictures. Added Monkee Spectacular #2 (May 1967) Pictures. Added articles: And What About Davy? Does He Really Get All The Girls?, Davy in New York, Foto Fun, I Went Along on Davy’s Outasite Vacation, Introduction, Is Micky Just a Clown That Nobody Loves?, Is Mike Nesmith Another John Lennon?, Micky and Coco (The Past and the Present), Micky’s Vacation, Monkee Mail, Monkee Rumors, Peter by His Favorite Teacher, Mrs. Bousfield.